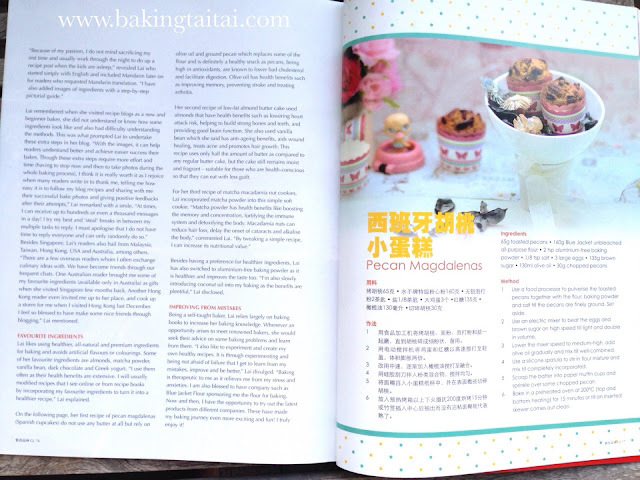 I am happy to announce that Baking Taitai is featured in the latest bimonthly and bilingual "Gourmet Living Magazine". In this April/May 2016 issue, you will find a write up of my interview as well as three new healthy recipes. 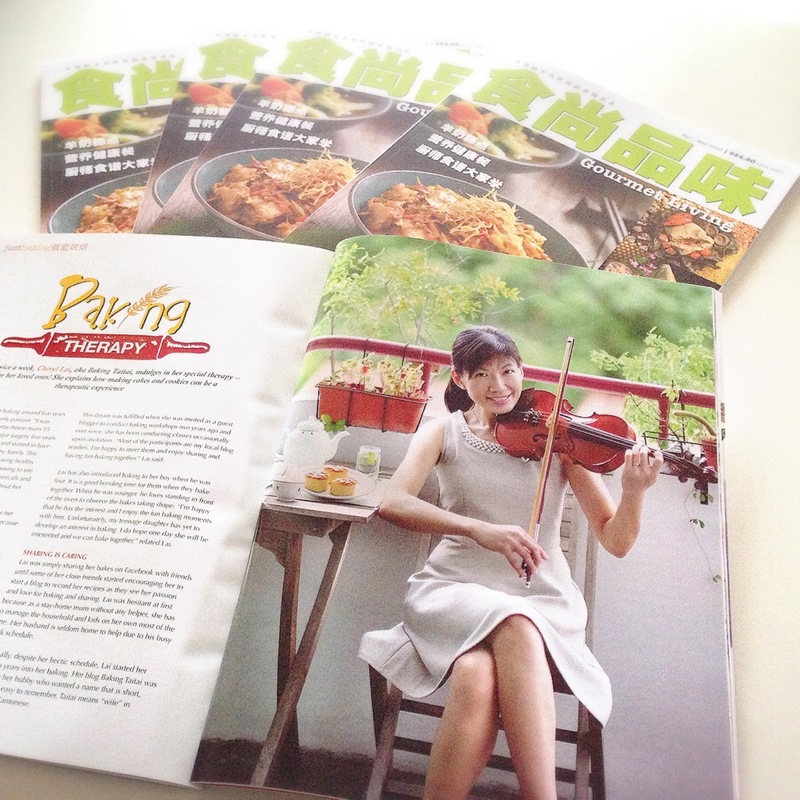 Gourmet Living is a bimonthly bilingual food magazine dedicated to food reviews, recipes and the finer things in life. 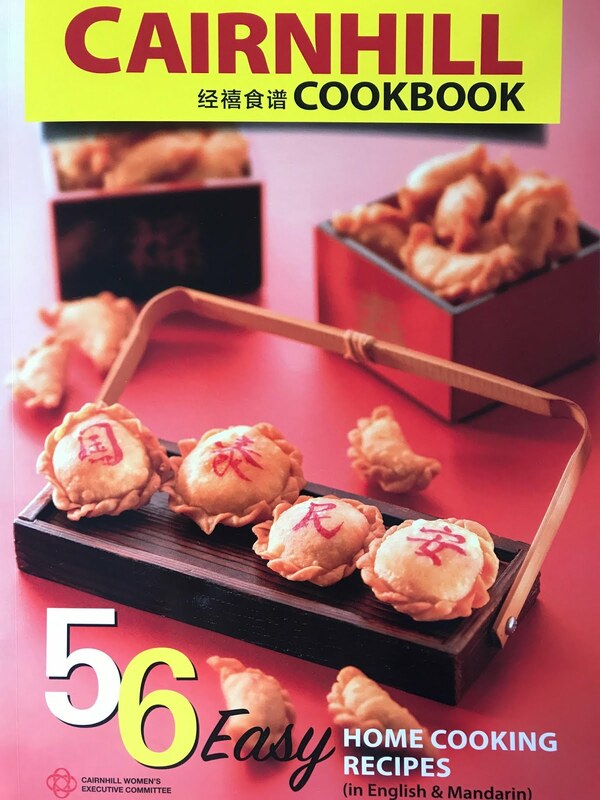 It features restaurant reviews, recipe spreads, food culture write-ups, reviews on popular travel destinations worldwide, and celebrated chef profiles in which the chefs reveal their cooking secrets and share their favourite recipes. Thanks to the fabulous team at Gourmet Living for giving me this opportunity as well as creating a wonderful memory for me. I would like to thank Jesslyn especially for taking such great pictures of myself and my bakes. I am so grateful and blessed! 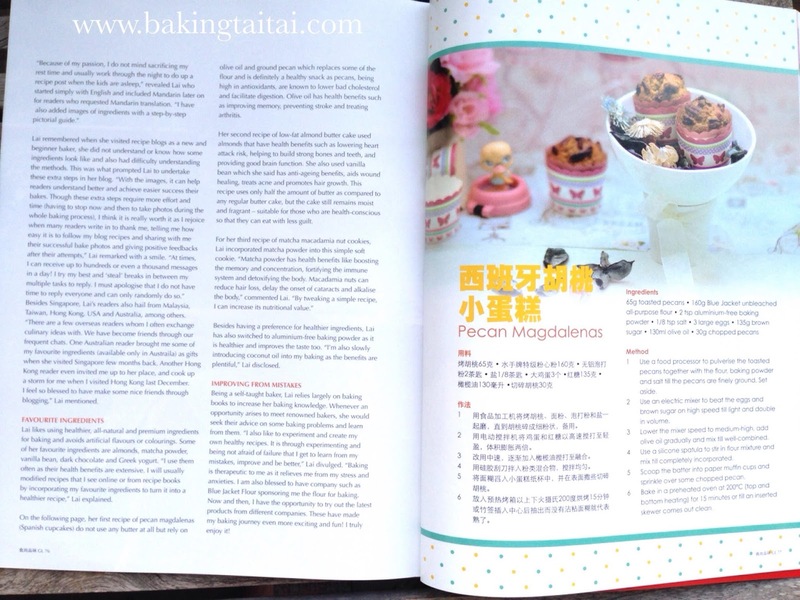 To thank my online friends and readers for supporting Baking Taitai all these while, I am giving away this magazine to 5 readers internationally. In order to win this magazine, please fill in the giveaway tool below with your name and email address. 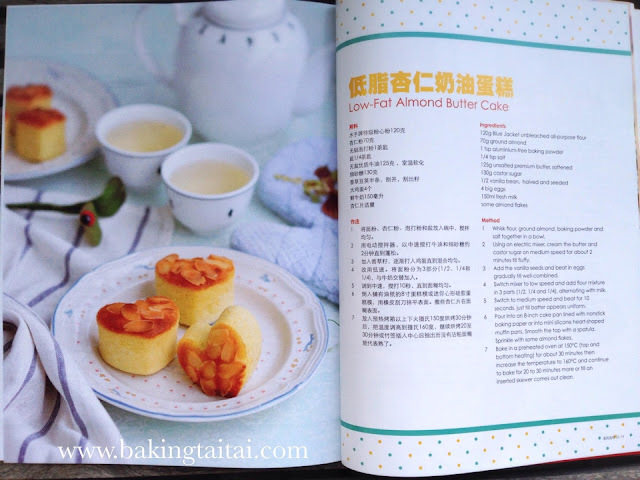 Double your chances of winning if you COMMENT in the comment box found in this blog recipe post (NOT in the Giveaway form) why you like Baking Taitai's blog so that I can strive to improve. When the giveaway closes next Monday 18 April 2016, I will email the 5 lucky winners so that I can send the magazine out to them. If you did not join or win the giveaway, those residing in Singapore can get a copy for $4.80 from major bookstores like Popular and Kinokuniya, selected newsstands, petrol kiosks and supermarkets from 18 April 2016 onwards. For my international readers, you may email: enquiries@gourmetimp.com to place your order and have it delivered to you. 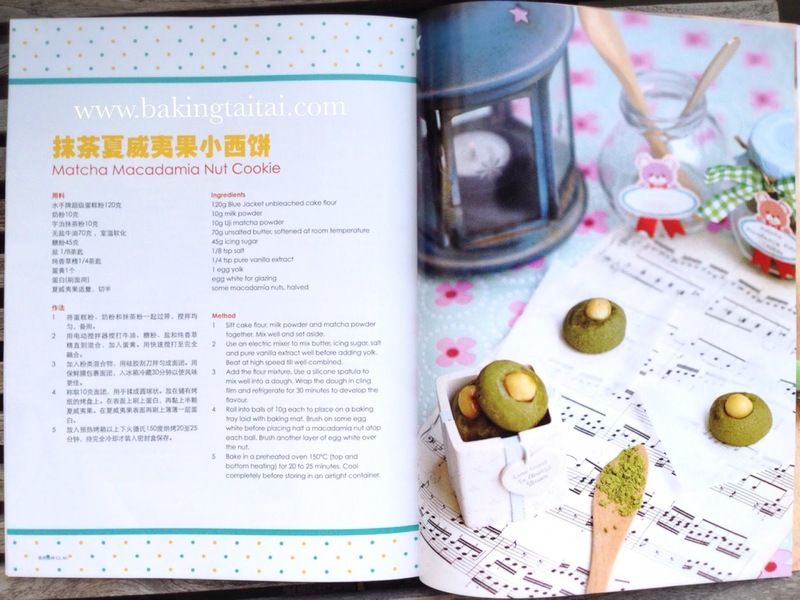 I like Baking Taitai because your step-by-step pictorial and clear instructions are very helpful. It guides a beginner like me to achieve success easily. Also, your recipes are all very healthy using natural ingredients and very yummy too. I always get thumbs up from my family and friends when I follow your recipe to bake. Thank you for all your effort and kind sharing! 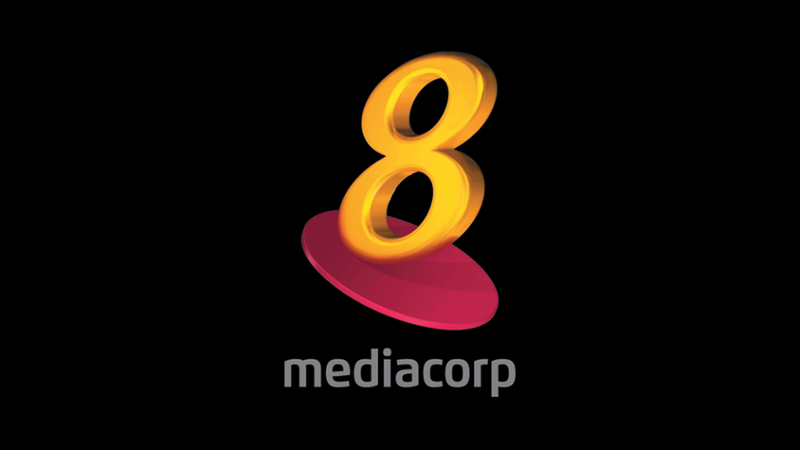 Hope to win a copy of the magazine as I am not living in Singapore. 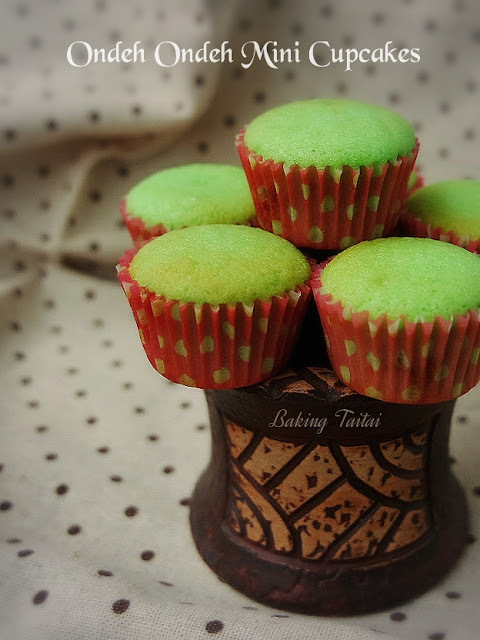 I m one of you fans.I followed you thru facebook n also always like to see your blog, & have tried your madeleines recipe n hv been baking these madeleines for amany times. My daughter n my friends loves it. Your recipes are easy to follow n understand. I hv submitted the giveaway entry. I love your generous sharing of recipes and easy to follow instructions. The ingredients used are also healthy and easily available in my country. Love all your cooking adventures, keep up the good work and be a source of inspiration to more! Hi Shirley, first enter your Email address and Name then click 'Begin'. 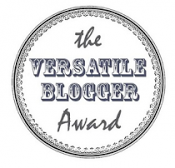 You will see a blue box that says 'Post a Comment', here you select 'Click To Begin' and fill in your name in the blank white box and click "Submit Entry". When done, your entry is submitted. I love the easy-to-follow instructions and often fuss-free recipes. With your lovely recipes, it brings joy and healthy nutrient for my family. 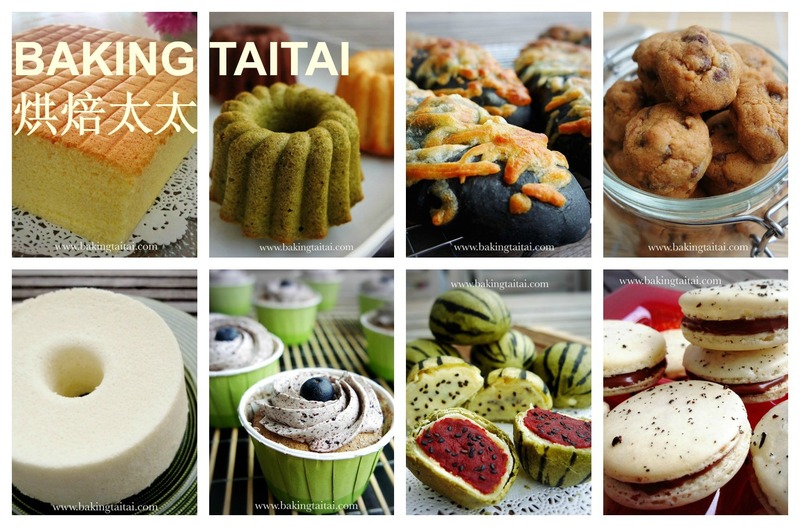 I wasn't a good chef, indeed my husband loves the recipe I gained from Baking Tai Tai. Your generous sharing helps our family to develop a loving bond, to have reunion everyday. Hi Karen, thank you for your well wishes. Have a blessed weekend! Good job! 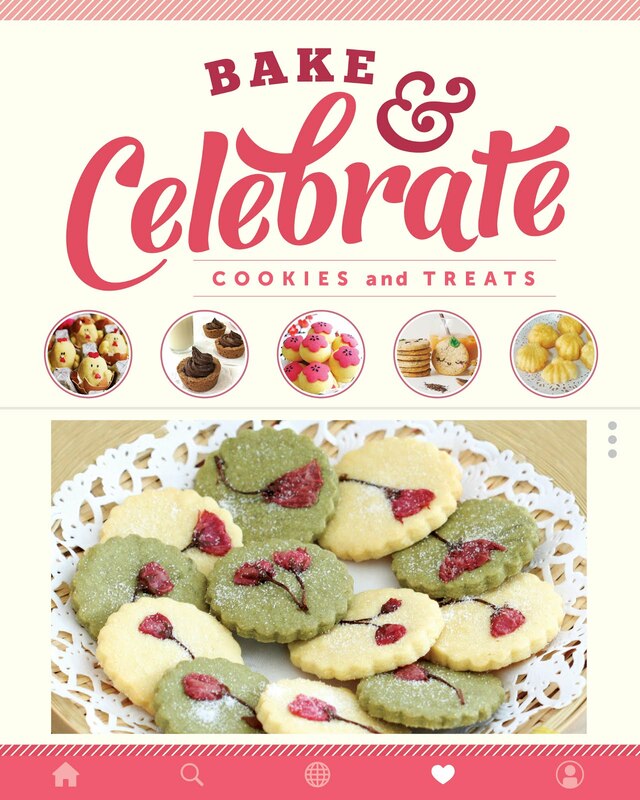 Your recipes has been a great inspiration to my baking at home. Your recipes are very easy to follow and therefore encourages me to try it out. 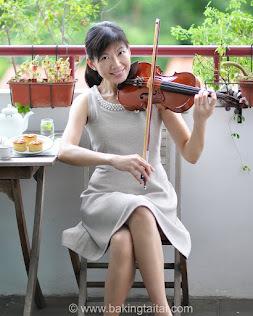 You must live a balanced life because I see you like music too (violin). Am I right? I like that the recipe instruction are clear and detailed enough, and come with nicely taken photos.